KFC is serving you with a mouth watering deal. 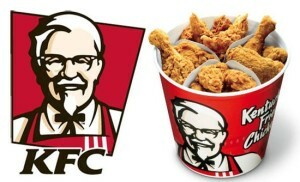 On your order of Rs.300 and above at KFC, you get 9 Pcs Hot wings only for Rs.99. Relish this amazing offer today as the offer is valid till 15th January only. Click here to go to the KFC webpage. 9 pcs Hot wings will be automatically added.